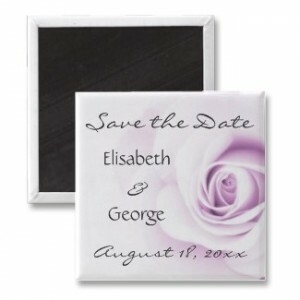 Elegant wedding Save the Date magnet featuring a beautiful, soft purple rose and dark gray customizable text. Romantic design, also available in other colors. Add your wedding date and the name of the bride and groom.